Need consistent and reliable restaurant cleaning services? You can count on Midwest Janitorial Specialists, Inc to provide your restaurant, your customers and your staff with a clean and healthy environment. With 9 years, our professional cleaning team has developed the best knowledge in cleaning restaurants to ensure that your restaurant will be known as a clean Evergreen Park, Illinois favorite! Food and drink spills, grease, and heavy foot traffic quickly make messes and will turn your customers away. With 9 years in the restaurant cleaning industry, Midwest Janitorial Specialists, Inc knows there is a lot to cleaning a restaurant. That’s why we have been working hard at cleaning Evergreen Park restaurants for 9 years to make sure your customers experience is enjoyable, and your restaurant is healthy. Looking for an Evergreen Park commercial cleaning company to make sure that your customers first impression is a clean one? 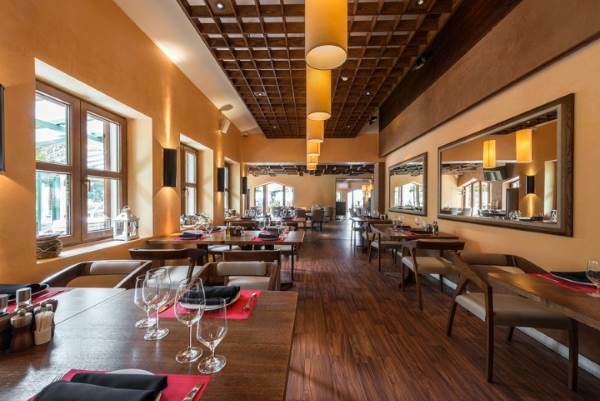 To ensure your restaurant is spotless and that your customers are pleased, Midwest Janitorial Specialists, Inc has been using the most effective cleaning solutions for 9 years. Here at Midwest Janitorial Specialists, Inc, we understand that the kitchen, restrooms and dining room areas generate a never-ending cleanup challenge. You can rest assured that we will never just dust the surface. You need an expert in restaurant cleaning so that any front of the house filth and back of the house dirt doesn’t exist! The dining area of your Evergreen Park restaurant needs to be spotless. Floors, bar tops, table tops, chairs and condiments should look, feel and smell clean. With 9 years of restaurant cleaning experience, Midwest Janitorial Specialists, Inc is sure to meet your standards and your customers expectations with our thorough cleaning procedures! The kitchen is one of the most important areas in a restaurant to keep clean. With our skilled team of Evergreen Park restaurant cleaning professionals, Midwest Janitorial Specialists, Inc will thoroughly clean kitchen grills, ovens, hoods, floors and drains, and more. We have 9 years of experience to ensure that everything is cleaned properly and to code. Public restrooms have quickly gotten a bad reputation. Why let your clean Evergreen Park restaurant fall into the same perception? Midwest Janitorial Specialists, Inc keeps it clean! Door handles, sink faucets, floors, toilet bowls and seats are fully sanitized and disinfected so that your customers will feel confident using your restaurant’s facilities each time. Call (630) 273-7233 today to have your Evergreen Park restaurant cleaned and sanitized by our expert team of commercial cleaners!